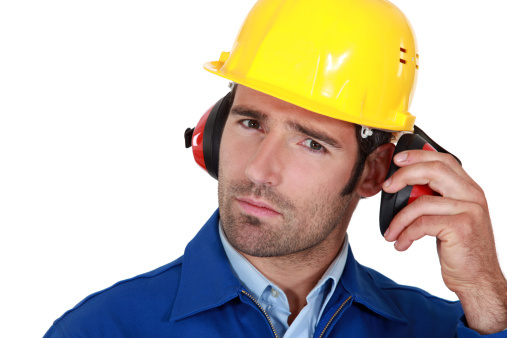 Was employee’s hearing loss caused by work or medical conditions? This employee worked in a noisy environment for 17 years. He used hearing protection consistently for just five of those years. A doctor said there were other reasons for the worker’s hearing loss. Did he get workers’ comp benefits? Michael Payne worked for SWVA Inc. in West Virginia and retired on July 16, 2012. On Dec. 26, 2013, Payne, who worked in the fabrication department, filed a workers’ comp claim alleging his employment exposed him to loud noises and hearing loss. Payne had a hearing test on Dec. 19, 2013, that showed moderate hearing loss in both ears. the robot weld line (frequent noises like someone hitting the brakes). The doctor also pointed out that Payne’s father and brother had a history of hearing loss that occurred at a later age. Payne said his medical conditions were all under control with medications. However, he said that in his first 12 years working at SWVA, he wasn’t serious about using hearing protection, but he used it during his last 5 years at work. He denied having any noisy hobbies, but he did use power woodworking tools without hearing protection. There were also several audiograms in Payne’s medical record which all showed patterns that were consistent with noise-induced hearing loss. SWVA’s safety manager testified the company had a strong hearing conservation program where employees were required to wear hearing protection. The manager said the program existed throughout Payne’s employment. A claims administrator denied Payne’s workers’ comp application for hearing loss. On appeal, the West Virginia Workers’ Compensation Office of Judges found Payne’s hearing loss did occur in the course of and as a result of his employment with SWVA. The judges found all the audiograms showed patterns which were consistent with noise-induced hearing loss. The audiograms showed his hearing loss progressed as he worked for SWVA. The appeal judges also found the opinion of the doctor who performed the independent medical evaluation wasn’t supported by medical evidence. SWVA appealed that finding, and the West Virginia Supreme Court of Appeals recently affirmed the Office of Judges’ opinion on the same grounds.